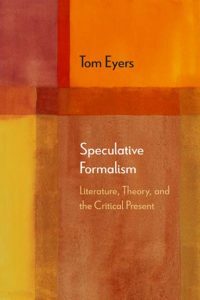 Tom Eyers, Speculative Formalism: Literature, Theory, and the Critical Present. Evanston, IL: Northwestern University Press, 2017. Can literature change the world? Tom Eyers wants to say it can. In this new study, he recognizes in literature a “speculative capacity” to refigure its various determinants (199), extolling its “capacity to refer, even to transfigure” its “historical and political conditions”—just as it might equally “annul, boost, or remain strikingly indifferent to” those same conditions (9-10). Skeptical of critical paradigms that he claims deny texts this transformative power, he seeks to develop a new language for “thinking the possibility of literature’s touching its referents, history and politics included” (197). Precisely in so doing, however, he holds fast to the idea that literature will also exceed those referents. At stake for Eyers are literary particularities and truths that he fears new approaches such as surface reading miss or, indeed, actively obscure. Eschewing the wide-angle view in favor of detailed analyses of a given text’s formal elements, Eyers proposes to rehabilitate certain practices of close reading, even as he seeks equally to allow considerations of historical and political context. At the same time, he aligns himself broadly with deconstruction’s teaching that truths are often contradictory. Although some of theory’s most ardent critics have blamed it for leading to nihilism, relativity, the “end of truth,” or even fascism, for Eyers theory teaches the productive opacities of cultural objects. This assumption of productive ambiguity is key to the argument in Speculative Formalism. 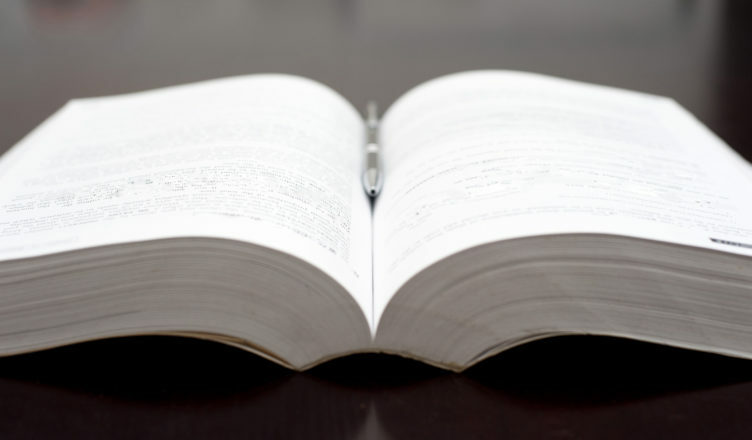 Eyers alternates between broadly methodological discussions and close readings of selected test cases, some of them building upon previously published essays. He begins by skewering digital-forward trends, objecting in particular to what he sees as the hubristic tendency in new computational analyses to assume that art can be made to reveal its secrets under the force of sheer scientific, empirical reasoning. Too narrow a focus on quantitative analysis threatens to dim the speculative resources and mute the ambiguity of literary texts, he suggests. Eyers specifically targets the early work of Franco Moretti, for example, as a kind of “digital positivism” that he believes takes for granted what theory has made problematic. A pioneer in applying geometric and other mathematical charts to the study of art, especially its circulation over time and space, Moretti once sought expressly to “deliver us from the illusory luxuries of close reading” (28, 45). (Eyers assures readers that although Moretti was once afflicted by “full-blown empiricism,” he now recognizes there is no such thing as a purely objective approach to literature.) For his part, Eyers is more interested in the work of digital humanists such as Stephen Ramsay, whose Reading Machines: Toward an Algorithmic Criticism (2011) productively combines new advances in technology with the lessons of high theory, as evinced in particular by Ramsay’s continued adherence to the notion of textual undecidability. What Eyers does not seem to want is for the promise of “theory” to be frittered away, leaving behind only mere description, empirical or otherwise. Instead, Eyers advocates a renewed respect for the “ambiguities and stubbornness” of art (55). A second key crux concerns Eyers’s relationship to the work of Paul de Man. Recognizing the ways in which the latter’s legacy is forever tarnished by his wartime anti-Semitic writings, Eyers nonetheless seeks to recuperate aspects of his poetic materialism. Like de Man, Eyers refuses the New Critics’ conviction “that each text had components that would allow it to be seen as an organic whole” (219). On the other hand, Eyers suggests that de Man may have been too focused on the ways in which texts destroy meaning to notice the moments in which they build it, opening up a variety of possible interpretations. Where de Man revels in those instances where a text fails to achieve seamless formal coherence, Eyers emphasizes the constructive potential of these seeming impasses. Putting his methodology to the test, Eyers performs a close reading of Charles Baudelaire’s 1857 sonnet “Correspondences,” which he presents alongside de Man’s reading of the same text (135-47). At first glance, the poem seems to want to elaborate “obscure and profound” unities: “one deep and shadowy unison,” “the sounds, scents, the colors correspond” (147). But word and world awkwardly intercalate in a way that cannot be boiled down to any priority of one over the other. Eyers detects a kind of winking knowingness, an insincere portentousness that undermines the poem’s romantic contents. While de Man reads the agnosticism of the Baudelaire poem as undercutting its aesthetic aspirations, Eyers differs. Noting its ironic voice, he reads “Correspondences” as a skeptical parody of the then-popular notion of history’s unstoppable forward march. This cloaking of historical change in a smirk—“the liturgical voice that apparently incants these objects [ideals] is itself laced with an insincere portentousness”—is what makes Baudelaire’s style so ingenious. Here as elsewhere, Eyers presents the seeming slippages and contradictions in Baudelaire’s writing as “rather more inclusive, more constructive, than de Man would wish us to believe,” pointing to the “multiplication of historical and semantic possibilities” enabled by the text and to the “enlargement of the poem’s creative capacity” (142). In one respect or another, this enlargement proves crucial to Eyers’s own readings of works by such diverse figures as Wallace Stevens, Francis Ponge, and Jean Cavailles, and the language poets Bruce Andrews, Ron Silliman, Charles Bernstein, Lyn Hejinian, and Susan Howe. Speculative Formalism concludes by gesturing toward new horizons. Having elaborated his approach to the study of arts in the present, Eyers suggests that he might next turn to a formalist alternative to the discipline of so-called world literature, a category that would appear ripe for critique. Borrowing from Paul Livingston’s writing on the relationship between form and its many participants1, and again taking aim at what he characterizes as a superficial gaze directed primarily at questions of circulation, he hints at a grand structure comprising various incomplete global networks. Rejecting the “suspiciously graceful ballet of perpetual literary movement,” he seeks to tether the budding discipline to a more delimited world (191). This reader is eager to see what comes next from Eyers. The Politics of Logic (2011). Livingston continues his commitment to a formal method of analysis in his next book, The Logic of Being (2017). Ben Streeter is an MA student at the George Washington University in Washington, DC, where he studies contemporary literature, and a fact checker for Stateline, a journalism outfit funded by The Pew Charitable Trusts. His writing has appeared in World Literature Today. He is currently writing about the works of W. G. Sebald and Croatian novelist Daša Drndić.